Professionals incorporating Attachment Parenting in their work engage in one of the most effective and empowering prevention strategies possible: Nurturing families and communities by building strong connections between parents and their children. Concern about an emerging generation of children who are increasingly aggressive, depressed, manipulative, and nonresilient increases the urgency of our efforts and our collaboration. Already these children are part of a growing population of emotionally and behaviorally troubled youth. Studies have shown that the major contributing factor to problem behaviors is a lack of secure and healthy attachment to a parent or other adult primary caregiver. Attachment Parenting International (API) analyzes and disseminates the work of researchers in psychology, child development, and brain science who have studied and applied the behaviors and outcomes of attachment theory for more than 60 years. API applies this knowledge to parenting practices, helping professionals serve parents and helping parents regain trust in their intuition when it comes to raising their children. Consider being a part of a movement working with parents every day. 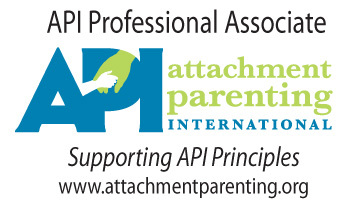 AP Resources, that include API's interactive Journal of Attachment Parenting and the periodic Professional Update enews when you select "Professional serving families" at sign up. AP Professional Community that helps you promote and educate about Attachment Parenting in your work. This program is be redesigned and updates will be available soon! Thank you for your interest. Cosleeping and Biological Imperatives: Why Human Babies Do Not and Should Not Sleep Alone - James J. McKenna Ph.D.
For more information on Attachment Parenting, please review the API Recommended Reads. Please note that any time one of the following resources refers to the mother, we intend that to refer to anyone who has sole custody or care of a child. It is not intended to be discriminatory toward fathers or other primary caregivers. OVERNIGHTS: The Difference Between Night and Day By Isabelle Fox, Ph. D.